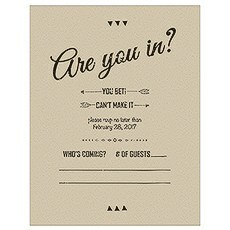 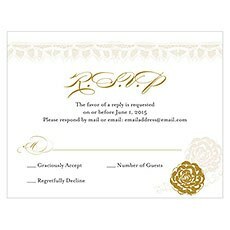 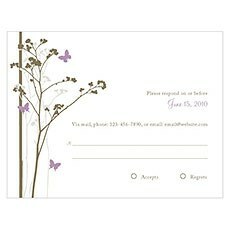 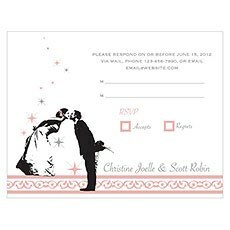 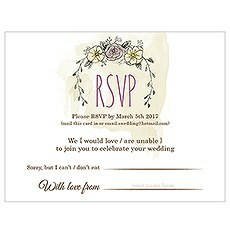 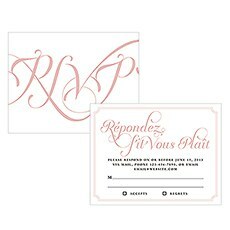 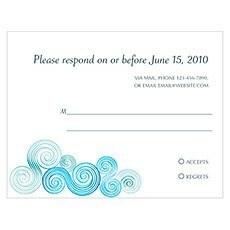 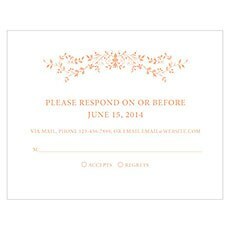 The "Respondez s'il vous plait" card has become a commonplace tradition out of necessity for wedding planners, brides and grooms all over the world. 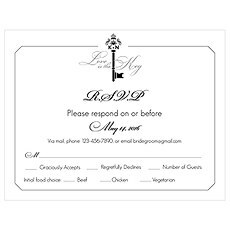 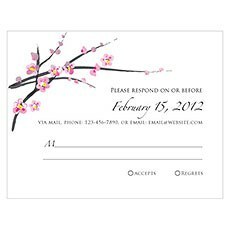 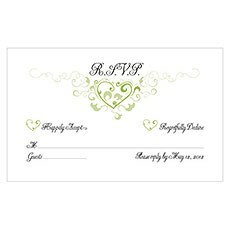 When planning your wedding day ceremony and reception, the wedding RSVP card is vitally important to get that accurate count of how many guests to plan for your nuptials and wedding reception. 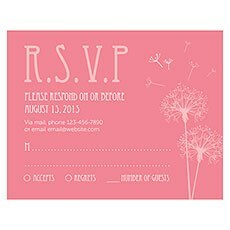 Wedding RSVP cards have come a long way, and we believe that our selection of these RSVP cards reflects the best-of-the-best!Match your RSVP cards with your wedding invitation for a highly detailed and coordinated effect. 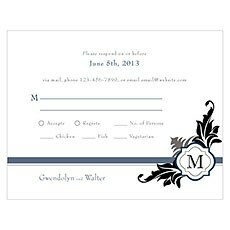 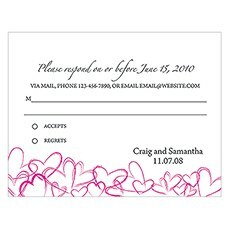 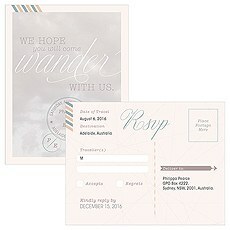 You will find matching invitations and other stationery accessories that will answer all of your wedding stationery questions quickly, easily and inexpensively. 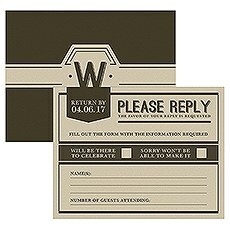 Fabulous organisation that looks great and quality wedding stationery need not cost a fortune - Weddingstar has made it easy for you to find RSVP cards at great prices in our online boutique. 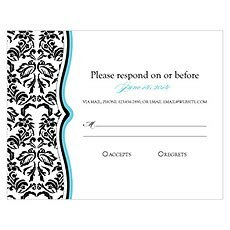 The more you buy, the more you save!From RSVP cards that feature classic designs, scripts and patterns to those that have a more modernly contemporary feel, you will find the wedding RSVP card that is ideal for you and that reflects your style. 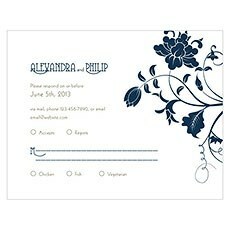 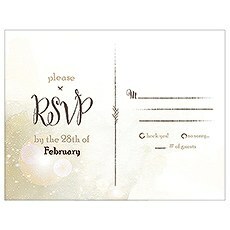 Choose from dramatic damask, scrolls, fleur de lis, leaves, monograms and more. 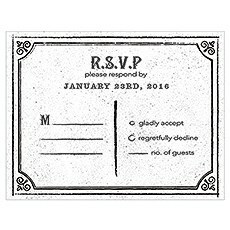 Opt for the romantic feel of script, colours and other touches that invoke love and vintage charm; let your RSVP card demonstrate your rustic bent or your love for the outdoors.Our RSVP cards are fully customisable. 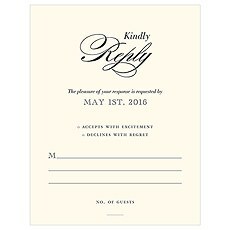 Personalise these cards to say exactly what you want them to say and decide on colours that will match your wedding, location or seasonal motif. 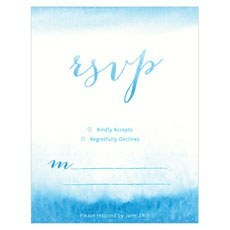 Our high-quality RSVP cards are made from heavy cardstock and our divine designs are printed in brilliantly vivid colours that will not disappoint.Weddingstar has all of the wedding stationery accessories that you need to make your wedding day uniquely special - including the RSVP cards! 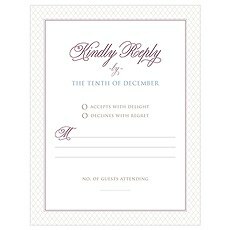 Let us help you create the style, colour and design that you are envisioning to make your event ultra-personal and touching.